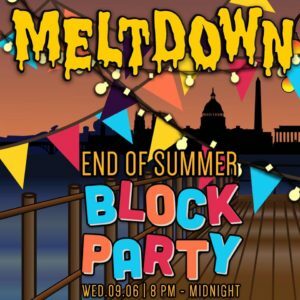 Meltdown End of Summer Block Party coming at you this Wednesday September 6th. Come Enjoy Waterfront views, Lots of Giveaways and Unlimited Dabs. Everything you’ve come to love at the Meltdown. There are no weapons, drinks or large amounts of cannabis allowed.